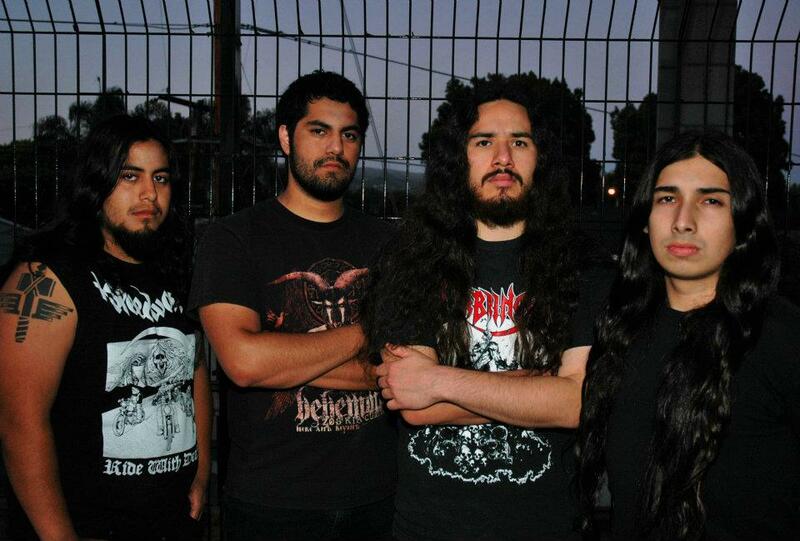 Thrashy chords with a neoclassical infusion. 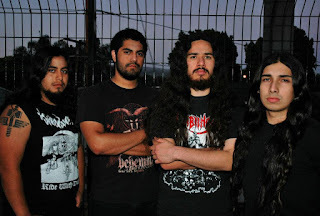 This band formed in 2002 in Whittier, California they delivered their third material titled "Slave to the Sword" in February 2014 and they definitely show a progress since their previous album "Beyond the Fall of Time" which received many negative reviews, but their latest album you cannot complain much, it is an album that can be described as thrash metal and seen an influence from bands like Possessed, Testament, Death Angel, and even Megadeth but adding a neoclassical touch inspired by Yngwie Malmsteen or Stratovarius. The guitars sound very compact using a wide range of melodic riff incorporating neoclassical solos, very well executed, showing their high quality and technical skills, the first track "Rising" is a clear example of what I'm talking about, the drumming is fast and powerful while maintaining a relentless pace, the bass plays fiercely with a consistency that provides extra atmosphere to support the guitar solos, while those harsh vocals they shred your ears and are a preamble to what it is this album. 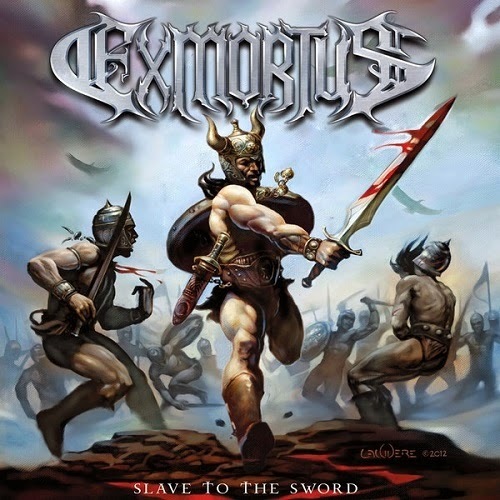 The composition of "Slave to the Sword" can be noted as one of the best Exmortus has created to date, tracks as "Slave to the Sword" with a more attractive groove sound shows the versatility of the band "Immortality Made Flesh" is fast using structured riffs "Warrior of the Night" with a merciless guitar solos and catchy rhythm, but one of the most appealing tracks is the instrumental cover of Ludwig van Beethoven's "Moonlight Sonata (Act 3)" brilliantly interpreted to demonstrate the virtuosity that has this band and the last track "Metal is King" offers a few crushing riff worthy of remembering. "Slave to the Sword" is an interesting album that personally I can consider it as one of the best albums of 2014, is certainly a band that has marked their standard and their upcoming production must take into account its previous work.